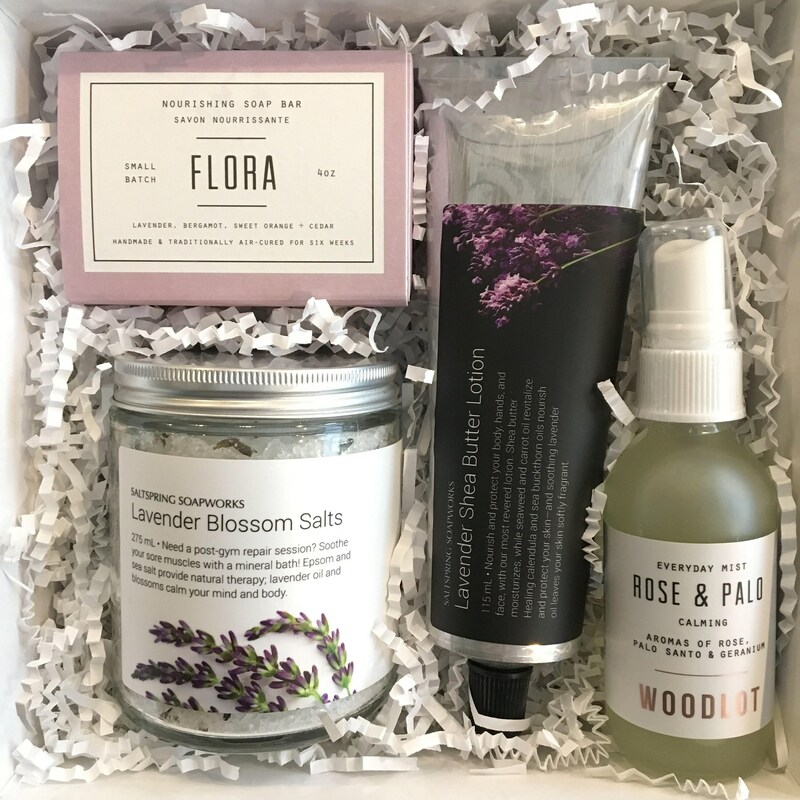 Saltspring Soapworks - Lavender Blossom Salts - a mineral bath with lavender oil and blossoms that will soothe your sore muscles and calm your mind and body. Woodlot - Flora - a cleasing soap bar with a base of hydrating butters, blended with relaxing lavender, refreshing bergamot, grounding cedarwood, and citrusy sweet orange. Saltspring Soapworks - Nourish and protect your body, hands, and face, with a most revered lotion. Shea butter moisturizes, while seaweed and carrot oil revitalize. Healing calendula and sea buckthorn oils nourish and protect your skin—and soothing lavender oil leaves your skin softly fragrant. Woodlot - Soothe and refresh with rejuvenating rose hydrosol and stress-relieving palo santo—this everyday mist is a must for it’s skin toning properties.